This is a set of two 11" x 14" black lamp prints by Sam Lu of Nanaimo, B.C. 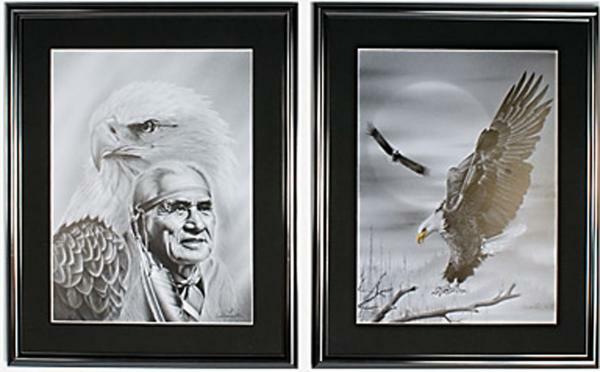 One print depicts a portrait of Chief Dan George and the other shows two eagles in flight. The prints are framed in black metal frames with non-reflective glass and black acid free mats. LOCALLY MADE ON VANCOUVER ISLAND IN NANAIMO, B.C.